For more than a century, Southern California residents got most of their power from fossil-fueled generation plants. In the 21st century, Southern California Edison is choosing a different way to meet electricity demand — using wind and other renewables to create a safe, reliable and clean grid of the future. 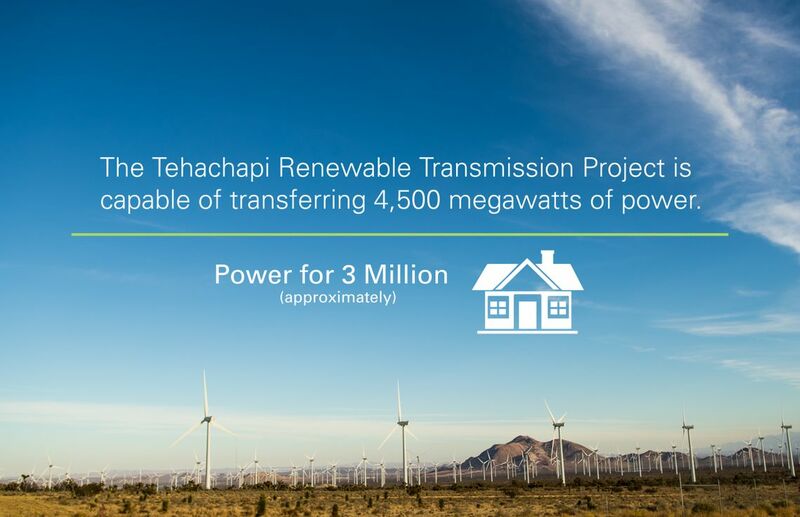 One major step toward that future is the recently completed Tehachapi Renewable Transmission Project. 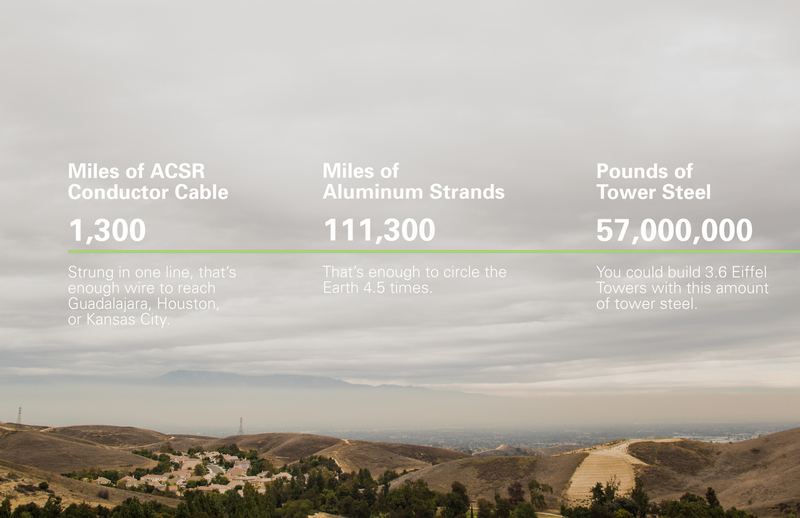 This series of new substations, towers and 170 miles of upgraded transmission lines is now delivering power generated by wind turbines in the high desert into our homes and businesses in the Greater Los Angeles basin. 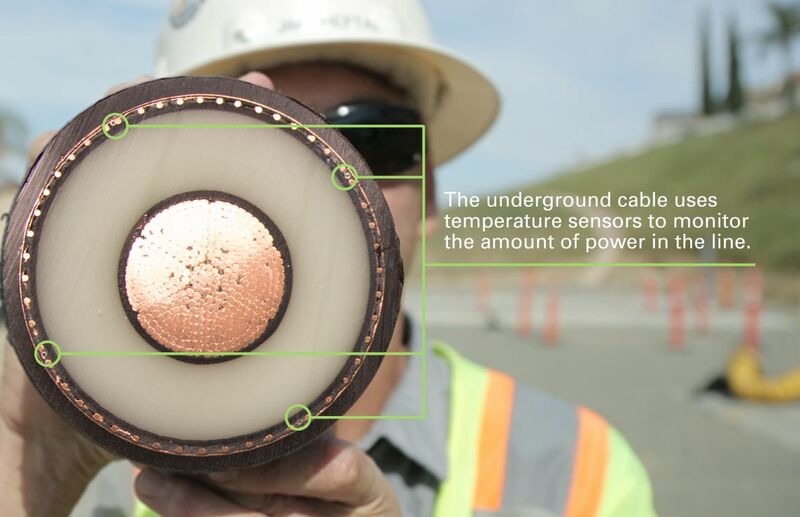 The Tehachapi Project started nearly 10 years ago and is currently the longest 500 kV line to ever be constructed. 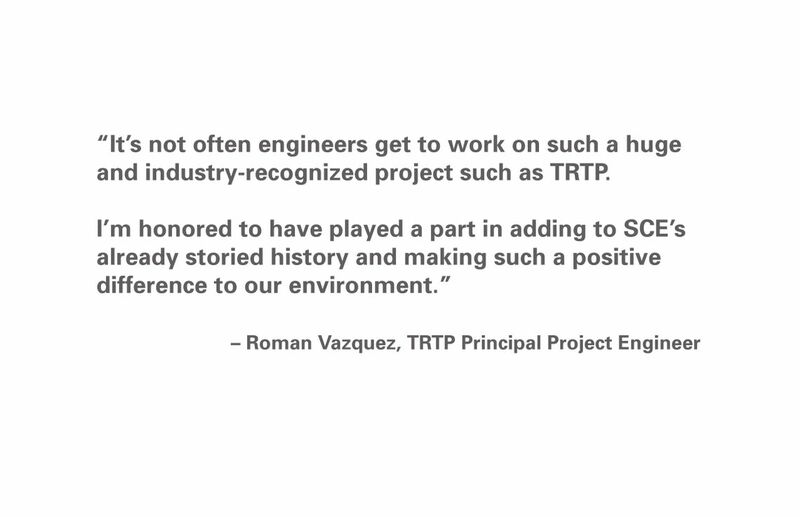 As with all new projects, engineers faced unique challenges along the way, including environmental impacts, rough terrain and the undergrounding of a 3-mile section of line. While providing a thoroughfare for current and new clean energy providers, this project plays a vital role in meeting California’s renewable energy goal of 33 percent by the year 2020 and provides additional power options to help reduce rotating outages due to increased demand. This is just one of many projects SCE is working on to help make Southern California greener and more reliable. Other projects include the Mountainview Generating Station Project, the Clean Electricity Project at the Port of Long Beach and the Charge Ready Program. Mary Ann Milbourn, David Song, Clarissa Fandino, Sarah Davis, Anait Kokonyan, Ernesto Sanchez and Caroline Aoyagi-Stom contributed to this piece.